internationally bestselling thriller writer Kathy Reichs.Her life is devoted to justice—even for those she never knew. In the year since Temperance Brennan left behind a shaky marriage in North Carolina, work has often preempted her weekend plans to explore Quebec. When a female corpse is discovered meticulously dismembered and stashed in trash bags, Temperance detects an alarming pattern—and she plunges into a harrowing search for a killer. 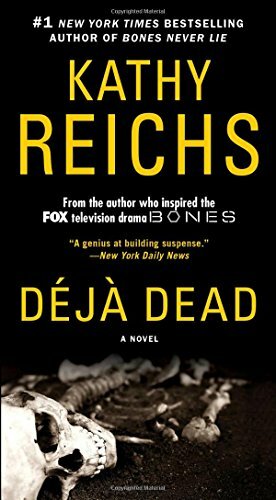 But her investigation is about to place those closest to her—her best friend and her own daughter—in mortal danger… “A genius at building suspense” (Daily News, New York), Kathy Reichs’s Temperance Brennan books are ripe with intricate settings and memorable characters” (Milwaukee Journal Sentinel).